Every time I make any sort of travel booking, the subsequent confirmation email is flagged and then moved to a Travel folder. When the trip is finished, I'll un-flag those emails leaving them only in the Travel folder in case I want to check back for reference. It makes for easy access to all future travel plans. As 2013 was coming to an end, I clicked over to my Flagged folder to find it nearly empty. We had a fantastic year of travel in 2013 and while our list of 'places to visit' is always growing, we hadn't put anything into action for 2014. This year presents some obstacles in terms of travel planning. Our contracts in any given country are always written 'up to 3 years.' We were in Gabon for 2 years and when we left, it was because we were ready to go and pursue other opportunities. We're coming up to 2 years in Stavanger this July and while we aren't anxious to be on the move quite yet, the company might have other plans. This is one of the hazards of our chosen lifestyle - not necessarily having control over when and where we move. In any case, our bags aren't packed yet but we also don't have a real guarantee as to how long we'll be here. We're working off a 3 month schedule as we know Joe's company re-evaluates things quarterly which currently keeps us here pretty definitively until March. This makes long-term travel planning a little difficult. Now, Mexico probably wouldn't have been on our travel list in 2014 being that we've already been twice and there are sun destinations much closer and much cheaper while living in Europe but Joe's one and only sister is getting married so we're crossing the Atlantic for the big event. Joe's entire family will be there so it'll be great to catch up with them and my parents will be at their timeshare up the road so I'll also get to spend some time with them as well. This was probably the easiest trip we've 'planned' in awhile being that the resort and time was already chosen for us and let's be honest, this trip is more about sun, sand, family & unlimited sugary, slushy beverages than it is about travel. Amsterdam is one of those cities (similar to London) that we didn't go to great efforts to organize a trip to as it seemed like we'd eventually make it there someday. We often touch down at Schiphol but we have never set foot in the actual city. A few weeks ago, I was perusing flights and happened to stumble across a great deal for a weekend round trip and we jumped on it. We're both quite excited to finally walk alongside those canals and check out this iconic European city. I visited Italy for the first time when I was sixteen. I was with a group of friends and while the trip was certainly a catalyst for future travels, my memories seem to centre around bizarre toilets, Italian men and their catcalls, the ability to consume alcohol legally, shopping at Mango and a plate of fried eggplant that commenced a decade long deterrence to the vegetable. It is definitely time to revisit this country without my egocentric teenage goggles. We're taking advantage of some of the public holidays this Spring and will spend 12 days in Italy which seems like a lifetime when we've become so used to jetting off for long weekends. We'll be visiting Venice, Florence, the Amalfi Coast and Naples for the hopefully perfect combination of city sightseeing and relaxation. This pretty much brings us to the end of our safe zone - actually, a little outside of the safe zone but we're banking on things taking time even if we do get moving orders. As for the rest of the year, I've got a pretty cool trip penciled in for my birthday weekend in June and a lengthy list of other European destinations but all of that will have to wait just a little longer. What do you have on the horizon for 2014? I hear ya. Although it can't exactly compare to your waiting for the next assignment which could happen at any time, am planning a wedding for a year and half from now-- but of course I have no idea where I'll be living at the time. Eep. We've been meaning to get back to Germany too! A good friend of ours is calling Berlin home right now and we definitely want to see him (and I love Berlin) so I've been keeping an eye on flights that direction as well. Good luck with the wedding planning - hopefully you'll find a solution that will work no matter where you're calling home! Thanks! :) And yeah if you have a friend in Berlin, what better time to visit again? Berlin's much more fun with friends! Such a massive city that it really takes several visits to see everything you want to. We had something similar in that Paul's work schedule (including work trips) could change at any time, regardless of our personal plans, so any trip we booked included a risk of having to cancel. I hope you're able to get your full three years, though, since you seem to truly love it there. We ended up not getting to anywhere in Italy other than Venice because we wanted a length of time to drive around and truly enjoy the countryside, so I'm quite jealous of you there! Can't wait to read about your trips, though, they sound AMAZING. Oh, did you get confirmed for the Air BnB place?? "Amsterdam is one of those cities (similar to London) that we didn't go to great efforts to organize a trip to as it seemed like we'd eventually make it there someday." THIS IS WHAT I HAVE BEEN SAYING ABOUT AMSTERDAM FOR THE PAST FIVE YEARS. If I'm still saying it at 40, someone needs to just shove me on a Ryan Air flight, okay? I can definitely relate to having no control over when and where you move. I'm in the same situation and we can never plan anything either! Definitely a great year in travel! I can't wait to see what you have in store for this year. I'm excited for my trip to China next year! It has been my parent's dream and I'm glad I can make it come true. Ohh, a trip to China sounds wonderful and lovely that you're fulfilling your parents' dream! Looks like a great few trips you have planned!! I don't know how I would deal with not knowing where I'll be living, it may drive me crazy, haha! Sounds like a great start to 2014 for you guys! My 2014 is going to be so different from my 2013 with international travel that much harder from Australia. That said, we're looking at Vietnam or somewhere else in Sth East Asia over the Easter period for a few weeks. And whilst not as exotic, I'm excited for a few upcoming weekend trips more locally (Brisbane this weekend to see my brother, Sydney in a few weeks to see friends, country Vic a few weeks later with school friends). get out of here that you've already been there for 2 years!!! i feel like it was maybe last year you guys were leaving gabon and going through apartment hunting! and yeah you guys are very go with the flow. while it's kinda fun and exciting i totally understand how annoying that can get that you can't really plan long term stuff. Ah, I know! I was saying to Joe the other night that it felt like we were in Gabon for 10 years yet the time in Stavanger has literally, flown by! I love that I seem very 'go with the flow' on this here blog because I can be known to be a ball of stress and super intense when it comes to times of uncertainty however, for some reason, this time around I'm feeling quite fine with everything. I think it helps that we're happy where we are for the moment. I hope you enjoy Amsterdam! It is one of our favorite cities! I love the laid-back atmosphere there. We are sort of spontaneous travel planners, meaning - I have no idea where we will be going this year! Ha! We have one trip planned, but hope to do many more. Like you, we're never really sure how long we will be here either. Could be 3 years, could be 7! Who knows! I love your description of being in Italy as a teenager Jay - brought back so many memories! (I have a similar aversion to cooked salmon because of my first trip to France.) Your plans sound incredible! For not knowing where you will be in three months, I'd say job very well done. 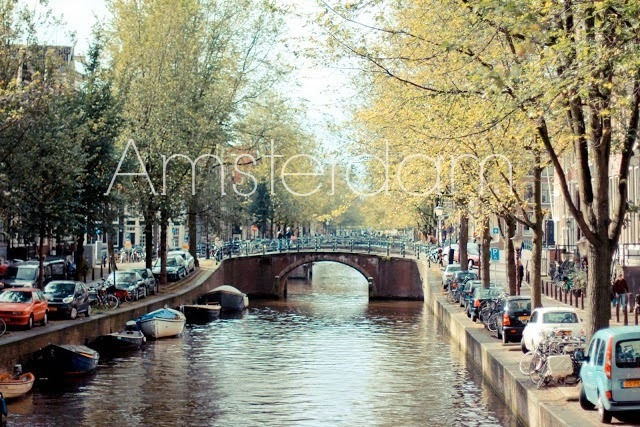 Cannot wait to read all about it :) Especially Amsterdam. Shameful, guilty admission: I lived in Brussels for ten years and never visited it. so jealous. 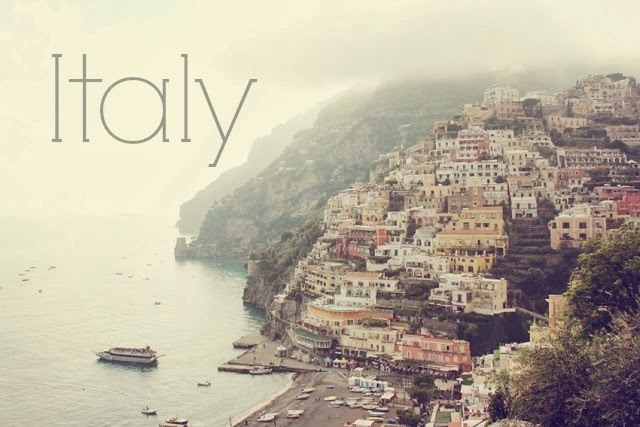 i need to go to italy! all i have planned for this year (as always) is hawaii.